Remington Research Group results of the conducted poll about the whole national anthem protest will shock NFL players. 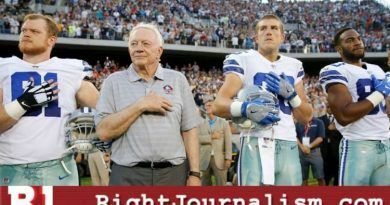 As it turns out 64 percent of those polled express their belief that NFL players should stand for the National Anthem and show some respect.These people also supported President Trump’s statements about his position on NFL players kneeling during the anthem. More than two-thirds of Americans say professional athletes should either keep their political activity off the field or abstain from politics altogether. Of those involved, 51 percent actually have said that this year they watch football less than they did last year. Out of that 51 percent, 69 percent are purposely watching less football because of all those NFL players who use the field to force their political opinions. 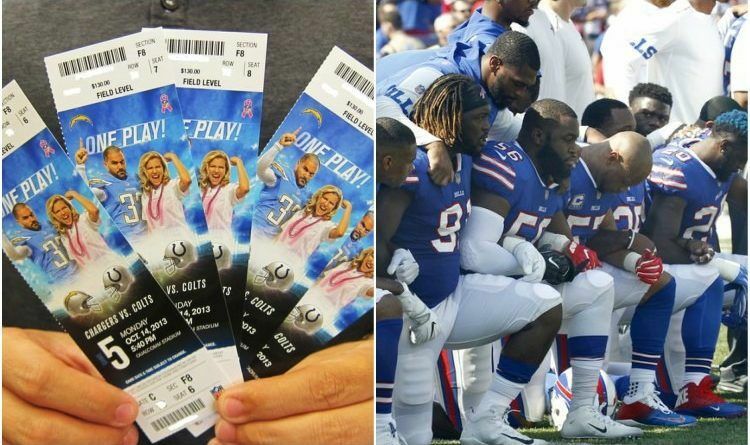 Also, NFL ticket sales on the popular ticket website StubHub, the popular ticket site, began advertising on September 28th, a sale on NFL tickets for up to 10% off until midnight on September 29th. 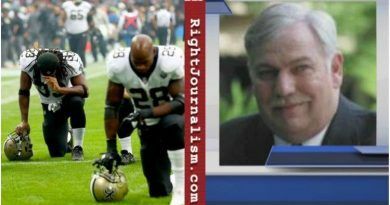 Well, NFL…America is letting you know that you have stepped over the line, and we will not stand for it. We, the people are the boss now! We pay your salaries. For us to ever watch an NFL game again you must shut up and play ball! We are not interested in your political Views or thoughts about inequality! What do you think? Share this article if you stand with President Trump! Shocking! 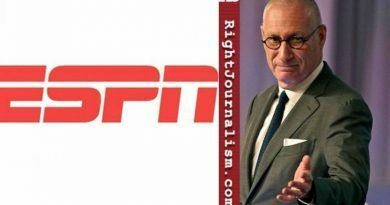 ESPN’s John Skipper Resigned Due to Sexual Harassment Issues, Not Substance Abuse!